NEW DELHI, INDIA – April 19, 2016 – Zebra Technologies Corporation (NASDAQ: ZBRA), a global leader in solutions and services that provide real-time visibility into organizations’ assets, people and transactions, has been recognized as the Supply Chain Technology Achiever of the Year for Hardware at the inaugural Global Logistics Excellence Awards, organized by Tata Strategic Management Group in association with India’s CNBC TV18 network. 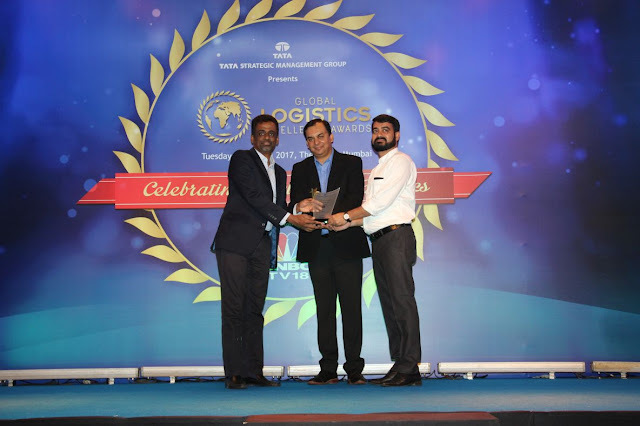 The awards ceremony is part of The Economic Times Global Logistics Show that runs April 17-19, 2017 in Mumbai. · The Global Logistics Excellence Awards recognizes the achievements of enterprises in the logistics sector, and award entries are reviewed and judged by a distinguished jury panel comprising industry stalwarts and leaders. Industry peers are also able to endorse and vote for award nominees. · The coveted “Supply Chain Technology Achiever of the Year” award highlights Zebra’s achievements and commitment to the logistics sector through the development of new and innovative solutions, expansion of solutions and service offerings, and increased customer satisfaction and loyalty. · Zebra’s commitment to innovation addresses its customers’ business challenges and needs. Zebra’s award-winning solutions include mobile touch computers, ultra-rugged scanners, and industrial printers for the transport and logistics sector, empowering enterprises with real-time operational visibility.